The PushManager Mobile Device Management solution includes a MAM (Mobile Application Management) brick. recommended public applications:available from stores such as AppStore and Google Play. The PushManager MDM also supports the volume purchase programme Apple VPP. You can order public applications in bulk and automatically distribute download codes to your employees. Depending on the rights assigned, your employees can access Entreprise messaging as well as a catalogue of applications to which you can allow access. 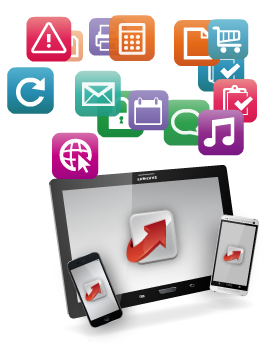 They can, for example, view, download or update business applications. You can also define a list of allowed applications (whitelist) or a list of prohibited applications (blacklist) or list of required applications. 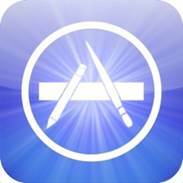 or import the installation package provided by the publisher of the application (for business applications). You then confirm, in the list of existing user groups, those who are authorized to access the newly integrated application catalogue. 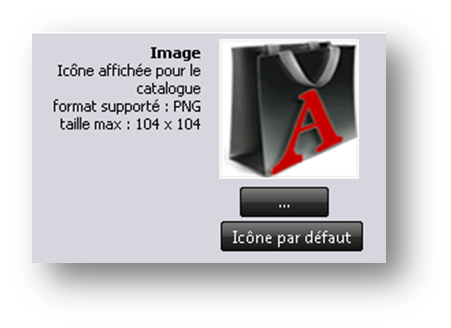 With a single click the user validates installation of the application and / or looks for applications stored in his catalogue and triggers the installation himself/herself. You can also check that the recommended applications have been installed by the user, directly in the PushManager platform. At any time, you can also view a complete list of all applications installed by your employees. Under the compliance rules set in the platform, you receive alerts and / or trigger automatic actions if a prohibited application is installed. Applications installed via PushManager can be deleted at any time remotely and transparently for the user. In addition, when deleting a device on the platform, applications installed by PushManager and their associated data are also deleted. By prohibiting the installation of applications via App stores, for example, you have full control over the applications used by your mobile employees. In addition, you can lock the device onto a single application. All other functions and applications will then be inaccessible. To totally secure use of business applications and company data, you can prohibit data from being backed up in iCloud.